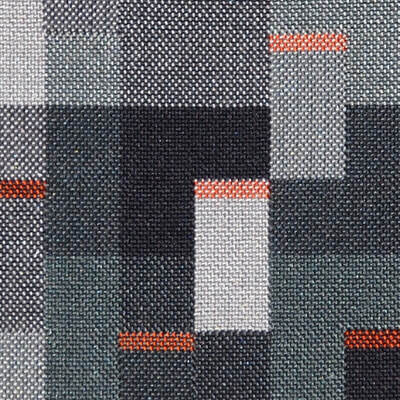 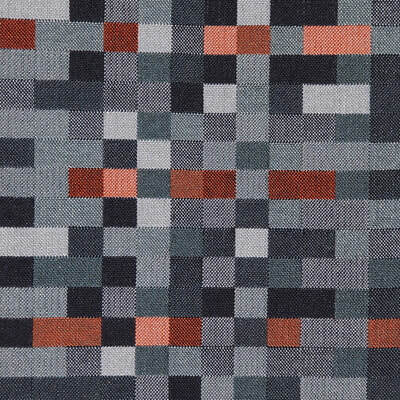 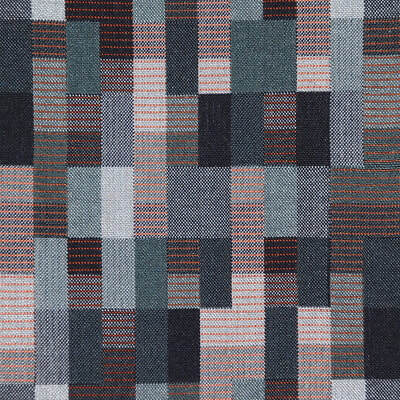 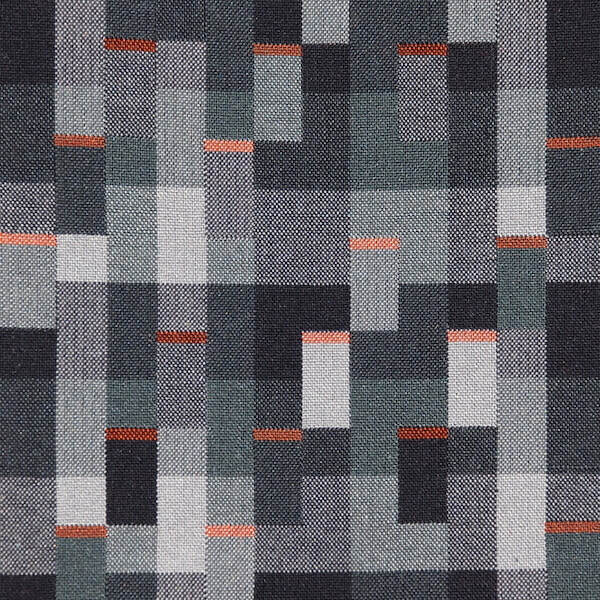 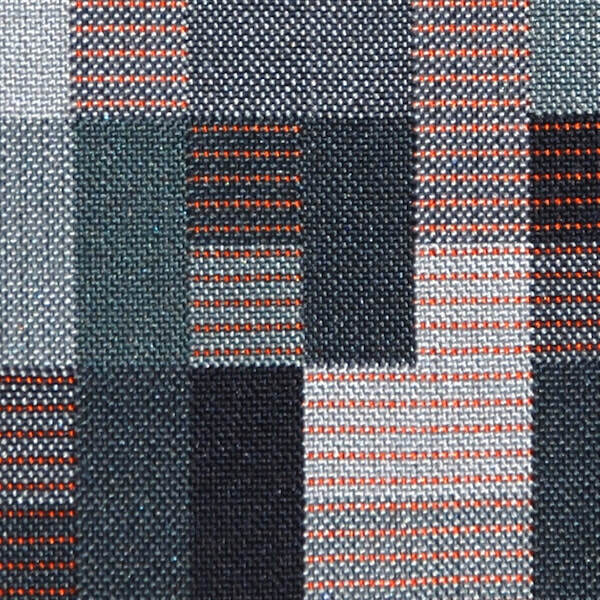 Citizen is a series of original handwoven artworks inspired by the lights of the city and the weaving of the Bauhaus. 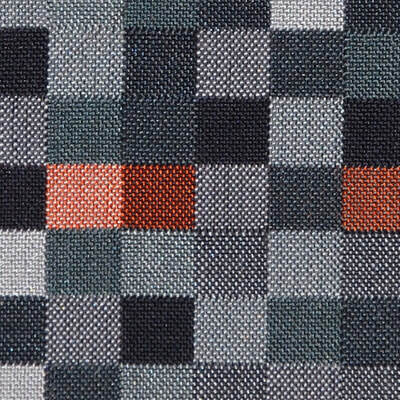 I have woven each design as a silk double cloth. Three designs are available, each in a limited edition of 10. 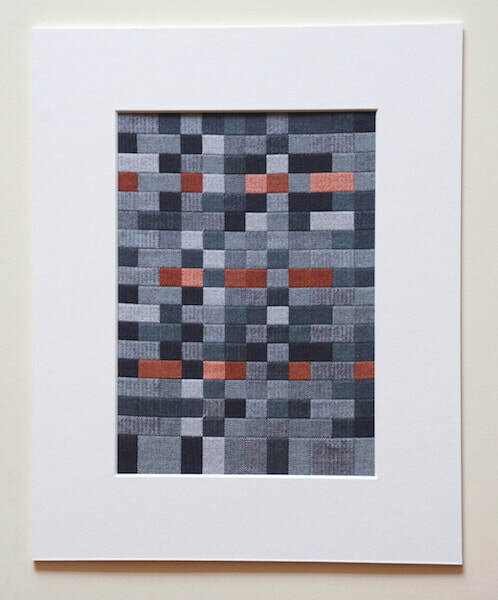 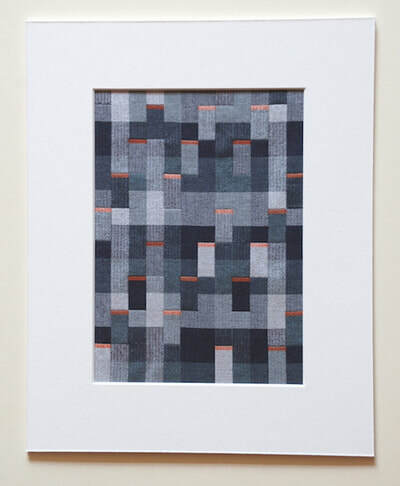 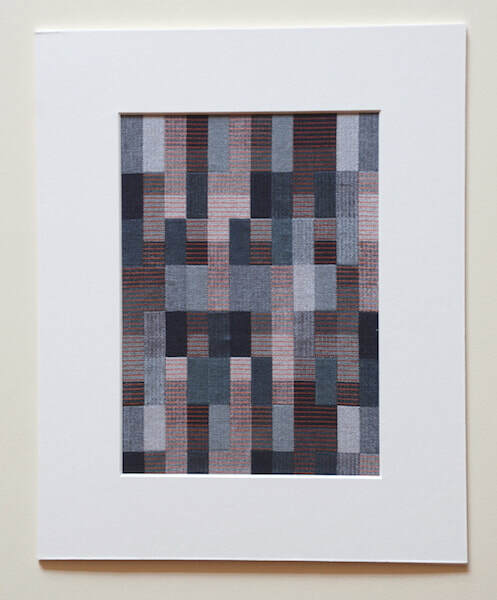 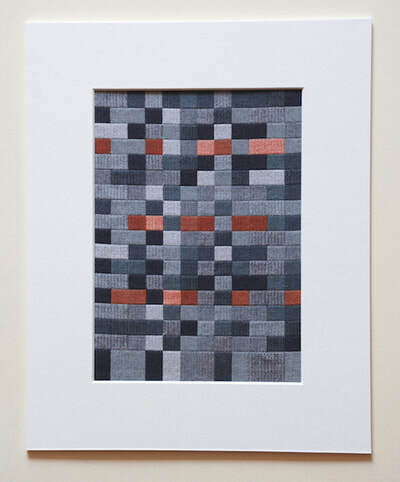 These original handwoven artworks have been professionally mounted in 10" x 8" (approx. 25cm x 20cm) conservation mounts by Fosse House Gallery ready for framing, and are available mounted at £95 each or £260 for the set of three, including UK delivery. Ordering and delivery arrangements are the same as for scarf sales - see How to Order for information.